Important announcements about whats going on around the forum. Tell us your troubles with the forum or any ideas you might want us to add to it! For anything Club Penguin that doesn't fit into any categories below. Release the latest cheats and spoilers! Post about any new bugs or glitches you have found. Tell us about a party or one of your own! This is the place to do it! 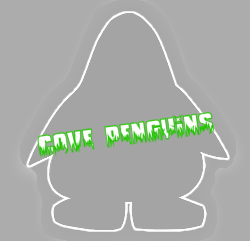 Discuss anything not related to Club Penguin. Got any jokes? Tell us here! What is your favorite sport? Stop by and tell us! Talk about the latest shows and movies here. Got a new game? Share your opinion here! Want to advertise your site? Post it here!